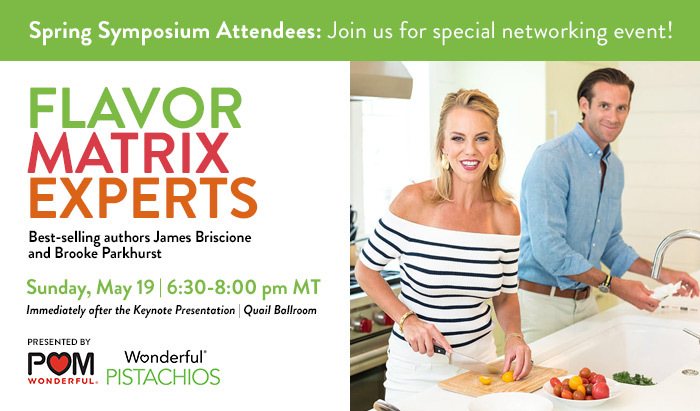 Meet best-selling author and celebrity chef James Briscione along with co-author Brook Parkhurst, for an exclusive tasting and book signing event! Serving light hors d'oeuvres and cocktails, attendees will get to learn the secrets and the science behind how the flavor matrix works with delightful tastings featuring Pomegranate Juice and Pistachios. Culinary-curious dietitians who want to learn creative ways to make healthy food taste great will not want to miss this. This is by invitation only with limited availability. Reserve your complimentary book and register now! If your registration is accepted, you will receive confirmation via email prior to Wednesday, May 1st. In 2012, James Briscione, the Director of Culinary Development at the Institute of Culinary Education in New York had the opportunity to work with IBM's supercomputer Watson. Drawing on a wealth of data, the computer would generate a list of ingredients, often ones you wouldn't think would go together, for the chefs to make a dish with. The results were surprisingly good. But, as Briscione points out, few people have access to Watson. 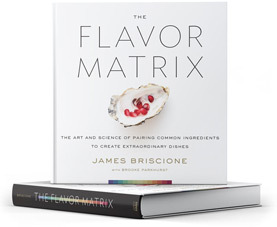 Briscione took the ideas from his time with the supercomputer and offers a scientific look at how flavors break down and pair up.